Learn about Montana by reading Montana—Big Sky, Big Adventure by Charlie Spence, Aviation Writer. It features a mini, but thorough tour of the destination, plus all you'll need to know to plan your trip including getting there, objective information on places to stay and eat, and things to do. At the end of the article, we've provided a summary of the contact information for your easy reference. Enjoy! Lake McDonald at Glacier National Park. You’re driving along one of the roads toward the site of the battle of Little Big Horn or perhaps traveling over the land that once felt the footprints of Lewis and Clark as they and their expedition explored the northwest of the United States and you see on both sides of the car herds of grazing bison, antelope, and elk roaming freely and you begin to see why Montana is known as Big Sky Country. It’s big in everything: Wild life, historic locations, outdoor sport activities, unique shopping areas, the majesty of the Rocky Mountains, and so much more. That, you will find, is the difficulty in selecting this wide open country as a vacation site—there is so much to see and do it is difficult to select the points to visit in a limited time. The area is excellent for the sportsman as its unspoiled land provides opportunity to enjoy fishing, hiking, hunting, skiing, bicycling, or other activity without the struggle of massive crowds. The entire state has less than one million population. 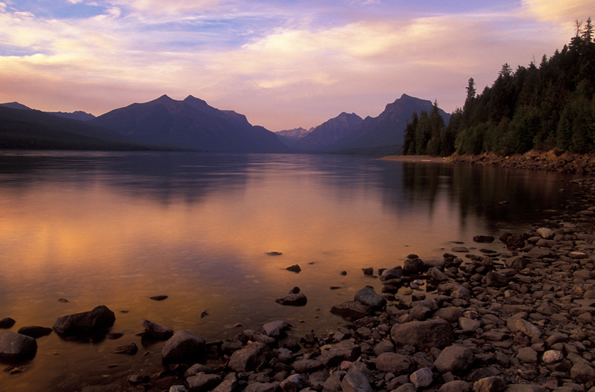 As a starter, there are two national parks in the western part of Montana to enjoy. In the northwestern section of the state you will see Glacier National Park. It combines with Waterton Lakes National Park in Canada to form the first international peace park. Here, drive the top of the world along a highway that defies description and see mountain goats clinging to craggy peaks as this 50-mile highway takes you over the Continental Divide at Logan Pass. Yellowstone National Park, in the southwest section of the state, is the world’s First National Park. Here you can see “Old Faithful” spewing almost every hour. In these 2.2 million acres of streaming geysers, thundering waterfalls, and panoramic vistas there are more than 1,100 historic structures, 290 waterfalls, and in excess of 950 miles of hiking trails that offer spectacular views of the Grand Canyon. But don’t let this massive amount of attractions overwhelm you. Take a bus, car, or hike through the parts of the park you have time for. Montana is more than beautiful parks. There is so much from which to choose the state tourist office has divided the state into six regions, each with its own unique attractions: Glacier Country, Gold West Country, Russell Country, Yellowstone Country, Missouri Country, and Custer Country. Each has its own cities and towns, Indian tribes, historic significance, food establishments and lodging facilities. Choose one, choose all. Your time schedule and interests will dictate. An entire article could be prepared about what you can do and see in each of these regions. All we can do is hit the highlights. If you like a bit of history interspersed with your fly fishing and hunting you can follow the trail taken by Lewis and Clark as they proceeded along what is now the Missouri River in their cross-continent exploration to discover a new land and an inland route to the Pacific Ocean. The point where the Missouri and Yellowstone Rivers converge was noted as an ideal spot for trading with the Indians. The Fort Union trading post stands there today for you to see and remember the fortitude and foresight of those who pioneered this land. To get an idea of the Lewis and Clark journey visit some of the small towns as you travel along the trail. Places like Sidney, Wolf Point, and Fort Peck have interesting pasts and enjoyable presents. During summer months many of these places hold special event weekends re-enacting some of the Lewis and Clark Encampment. Little Bighorn Battlefield National Monument. Some tours of the area are offered year-round and others May through October. If those summer months are when you will be there take the all-day tour where you will visit a Lewis and Clark site and the Custer’s Last Stand battlefield. Here, General Custer suffered the biggest defeat of the U.S. Army by the Plains Indians. The sites are 50 miles and 70 years apart. 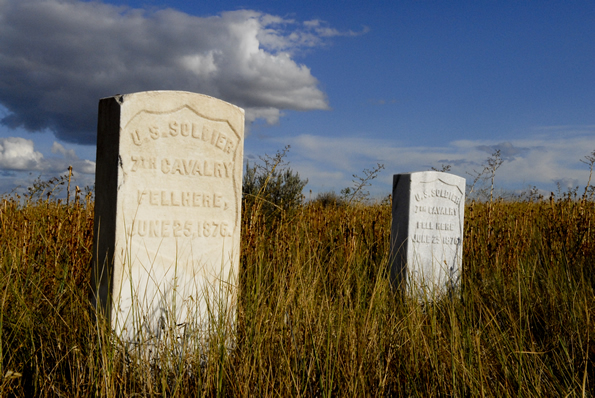 At the site of the Battle of Little Big Horn, tour guides steeped in the history of the area will detail how Chief Sitting Bull’s victory changed the nation’s attitude toward the Indian. Another tour added to your battlefield visits takes you to the St.Labre Indian School and Museum. Here, let the surroundings transport you in thought and sight back to those Indian days. See the church made in tepee style, the Mission school, and Cheyenne Indian Museum and Gift Shop. Although this has only begun to touch the historic sites to visit in Montana you would like to take in other, more modern times. If you are a skier, there are 13 excellent ski resorts. There are millions of acres of public land open to cross-country skiing. Many of the cross-country ski resorts have their own private train systems. Go snowmobiling and you can travel over thousands of miles of groomed and ungroomed trails. Select any one of Montana’s cities and towns as your base and you will find plenty to see and do. Helena, the state capital, owes its existence to discovery of gold, silver, and lead and you can discover the lure of the area that brought those wealth seekers. In 1888 an estimated 50 millionaires made Helena their home. Tour the city for a spectacular view of some of the historic landmarks like St. Helena Cathedral, the 19th century mansions, Last Chance Gulch businesses, and restored pioneer dwellings. The Missouri River flows by near Helena and there are several lakes within a short driving distance for fishing. Feel like a real cowboy by talking the Last Chance Ranch horse drawn wagon dinner ride to an authentic teepee above town. Miles City is one of the lively spots in the eastern part of the state. The town is best known for its annual three-day bucking horse sale each May when rodeo stock contractors come to bid and buy rough stock. But that happens only once a year. All year round other activities make this an attractive site. You might want to deck yourself out in cowboy boots and a cowboy hat—both of which are available at shops in Miles City—as you visit the Custer County Art and Heritage Center or the Range Riders Museum. Throughout the state you will find challenging golf courses, a variety of eating places, casinos, and friendly residents you will meet as you walk along the streets looking for the best bison burger in town. Ghost towns, historic sites, magnificent scenery, unique shopping and dining beckon all while the outdoors sportsmen and women succumb to the lure of hunting and fishing at unmatched sites. Montana is the fourth largest state in the United States, is largely rural with mainly small towns, beautiful scenery, and large national park areas, so you will probably want to rent an auto when you arrive. There are direct flights to some cities in the state from major cities in the western United States, Chicago, and Atlanta. Commuter carriers make connections with other cities outside the state. Some flights are seasonal. Most visitors decide what they want to visit and book a flight nearest that point and arrange for a rental car. Greyhound bus lines travel to major cities. Amtrak’s Empire Builder passenger train runs across the northern part of the state. You can find a wide variety of lodging places throughout the state. These include small bed and breakfasts, motels, rustic cabins, guest ranches, and historic lodges. Make your reservations before you go through WTA’s Online Travel Booking Service. Significant hotel and car rental discounts may apply. Excellent treats waiting you in Montana. Of course you have the usual fast food shops as you hurry through your explorations and the more formal dining locations. By all means try the local fare. The area is known for its wild foods. Try the morel mushrooms, huckleberries, venison, whitefish, and of course bison burgers. Notice: This information is current as of March 2011. It is recommended that you contact the numbers, and/or visit the websites above to determine any changes to the information.